Short listed for the Australian Christian Book Of the Year Award 2005. “All of life, it seems to me, is two-edged. Always, there are two sides of a coin, two voices vying for our attention… Where we think there is only death, we find a legacy of life; where there is evil, still a pinprick of hope appears, for light is more clearly light when seen against darkness… Life is full of simultaneous equations, each different, each true. Together they make up the moments of our lives.” From the Forword. “The strength of these poems lies in the personal vision they project, communicating this readily, and clearly speaking from her heart – one that is acutely human, yet invariably poised between the spiritual and physical aspects of life. 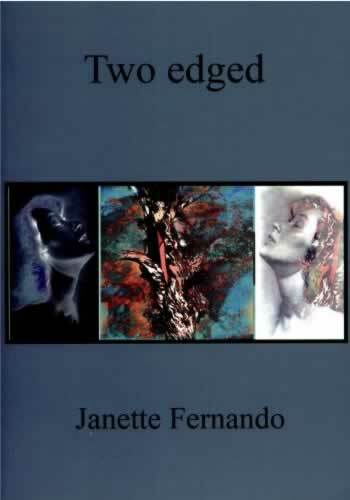 In her ‘people poems’ we feel the intensity of Janette’s compassion, her self-questioning and breadth of human understanding, this entire collection being testimony to an enduring faith that directs the poet’s life and lends her work particular distinction. Many, I am sure, will be inspired by its message.” Joan Ackland.